The New South Wales Government has revealed its short-term holiday letting plan, which Minister for Better Regulation Matt Kean said “will support the sharing economy and give consumers more choice while cracking down on bad behaviour”. New measures to be introduced include a 180-night limit for properties to be used as holiday letting in Greater Sydney and greater powers for Strata Corporations to restrict units being used for short-term rentals. Both the Accommodation Association of Australia (AAoA) and Tourism Accommodation Australia (TAA) have criticised the plan, saying jobs and safety are at risk, there was no adequate industry consultation and the 180-night cap is not enough. Kean said the reforms recognise the estimated AUD$31 billion annual contribution of online booking platforms like Airbnb and HomeAway (formerly Stayz) to the Australian economy, while stamping out party houses through a mandatory Code of Conduct. He said the plan includes changes to the Strata Schemes Management Act, which will allow owners corporations to adopt a by-law, with a 75 per cent majority, preventing short-term letting in their block if the host does not live in the unit they are letting out. “We have consulted widely with industry and the community to make sure our nation-leading regulatory framework is the very best approach to short-term holiday letting,” Kean said. He said the mandatory Code of Conduct for online accommodation platforms, letting agents, hosts and guests would address impacts like noise levels, disruptive guests and effects on shared neighbourhood amenities. Kean said the Code will also include a new dispute resolution process to resolve complaints, and NSW Fair Trading will have powers to police online platforms and letting agents. “Under our ‘two strikes and you’re out’ policy, hosts or guests who commit two serious breaches of the Code within two years will be banned for five, and be listed on an exclusion register,” he said. -Certain planning rules will apply to properties on bushfire prone land. “The 180 days a year limit approximately equates to weekends, school holidays and public holidays so we felt this was a fair and balanced approach,” Roberts said. The leading hotel associations in Australia – the Accommodation Association of Australia (AAoA) and Tourism Accommodation Australia (TAA) – have slammed the deal calling it “weak” and saying it will cost jobs and compromise consumer safety. Accommodation Association of Australia CEO, Richard Munro, said the deal will “allow quasi-hotels to flourish in Sydney and place even greater pressure on housing affordability”. “This is a very disappointing outcome for the accommodation industry, particularly the way it seemingly thumbs its nose at operators of accommodation businesses in regional NSW,” he said. “On the surface, it appears a cosy deal has been struck between the Minister for Innovation/Better Regulation and Airbnb, with little or no input from our members. “Airbnb and other online platforms that promote illegal use of residential buildings employ virtually no-one in Australia, yet the Minister claims these platforms contribute AUD$31 billion to the Australian economy, which indicates he has completely swallowed Airbnb’s PR blitz. “The Minister’s claims about wide consultation are also false, as far as we are concerned. “On behalf of our hundreds of members in NSW, we wrote to him on 11 May last year requesting a meeting to discuss regulation of short-term letting and this request was never granted. “If it was, the Minister would have found out Tasmania has a more stringent regime for regulating short-term letting, which makes a mockery of claims the new framework is the toughest in the country. “While we are still to see the detail of what’s been announced, there appears to be no requirement for Airbnb properties to meet standards relating to building fire safety, insurance and disability access that our members have invested millions on. “The 180-day cap for short-term letting in greater Sydney is nowhere near enough to minimise the incidence of residential apartment blocks quietly becoming quasi-hotels – and the reality is any consumer who stays in such properties faces a much higher safety risk because of the lower standards which are in place. Our industry is supportive of a 30-day cap. “Of major concern to our industry is the jobs this dodgy deal will cost in regional areas as a result of there being virtually no cap on the amount of time short-term letting can take place outside greater Sydney. Tourism Accommodation Australia CEO Carol Giuseppi said the State Government on holiday letting in residential units plan “only goes part of the way”. “While the accommodation industry recognises that the settings are a step in the right direction, and do provide strata controls, we believe the key to getting the settings more balanced is ensuring that the mandatory Code of Conduct is properly enforced,” she said. “We believe the key to actual implementation will be ensuring the Code is developed with stronger controls – beyond that of regulating bad behaviour. “To protect both visitors and communities the proper insurances, fire and safety protections and security need to be put in place,” Giuseppi said. She said “effective and transparent monitoring needs to be put in place”. “A mooted 12 month review is not possible without appropriate monitoring,” Giuseppi said. “Cities around the world have recognised the only way to properly regulate is to put in place a registration scheme to monitor and report on changes in community and the impacts. “The regulated commercial accommodation sector looks forward to working with government to ensure a review of the significant regulations currently in place to ensure sustainable growth that protects and grows jobs and investment. In a statement received by HM, Airbnb welcomed the New South Wales Government’s plan. “Airbnb welcomes the new fair and innovative rules announced by the New South Wales Government which give home sharing the green light in NSW,” said Airbnb’s Global Head of Policy Chris Lehane. “They bring the rules for home sharing into the 21st century and send a clear signal that NSW embraces healthy tourism. “Today’s announcement is the culmination of nearly three years of consultation with our community, the industry and local officials to ensure home sharing makes NSW a better place to live and visit. “The NSW Government, like other governments around the world, has recognised that the way people travel and use their homes has changed, and the rules needed to change as well. 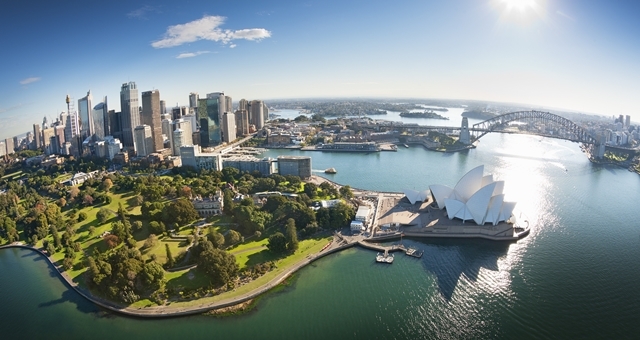 Airbnb’s Country Manager for Australia, Sam McDonagh, added: “New South Wales is the beating heart of the Australian Airbnb community, representing a third of all Airbnb listings and a third of all guest arrivals. This truly is a watershed moment for our community in Australia and for travellers from around the world who want local, authentic and unique experiences when they visit. “With the cost-of-living painfully high, these fair and innovative rules will make it simple and easy for people and working families to share their own homes to make extra income.